Rocky Mountain Tracking is a GPS satellite tracking company for consumers and businesses nationwide. They have a variety of GPS trackers and tracking systems, which work well for personal or business use. At the personal level, you can track family members, like teens. 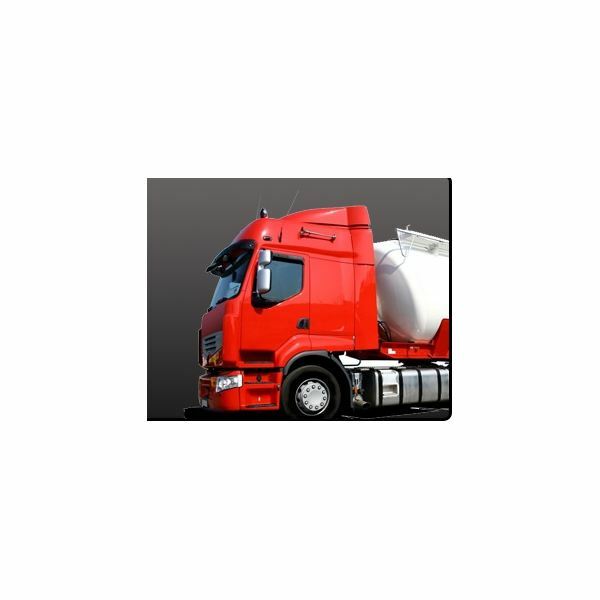 At the business level, you can track a fleet of vehicles or heavy construction equipment. They have tracking systems for vehicle, assets, or personal tracking. The system runs on NavIQ software, with it the GPS tracker can locate a vehicle anywhere in the United States. It runs 24/7, which allows companies to know where their vehicles are at all times. NavIQ provides a trip playback, which displays activity both, on the map, and in text format for any specified timeframe. It also supports Geofencing. This allows users to draw a circle or polygon directly on the map and it sends the coordinates over-the-air to the device. Costs: start at just $175 with no monthly fee. resistant. It is a passive device that can locate vehicles to within 2.5 meters and records their movements every second. To access the tracking data, use a USB port and the tracking history will download within seconds. The device that uses 2 AAA batteries and can fit in a tissue box in a car. Another popular unit is the Tracking Key Pro device. It can display GPS tracking history over animated street maps, satellite images or through text reports. The recorded data can display where a person traveled, how fast they drove, when they stopped, and how long they stopped. This is a passive device. An important element offered by Land Air Sea systems is fleet management where fleet vehicle control is available. It helps provide a level of control over an inconsistent environment, where factors such as weather, traffic, breakdown, customer demand, and availability of manpower and equipment can change from day to day or hour to hour. Therefore, if a route reaches a bottleneck support technicians can provide alternative routes, saving time and money as a result. You can read about other GPS Fleet Management Systems. Fleet management is very important for businesses and even government units. Knowing where a vehicle is at and how much time it has been on the road is critical for cost control issues. 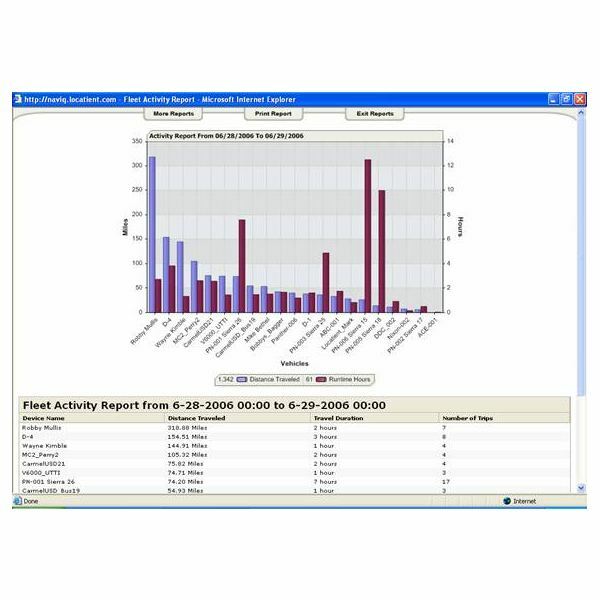 The Navtrack system does fleet tracking controls where it monitors trips, stops, and fleet activities. It provides reporting services that display the activity of individual vehicles and/or your entire fleet. It helps with locations by designating the delivery, job, and customer locations that are unique and important. It also has a desktop-based vehicle tracking widget. You can also see driving histories and plan more efficient routes. 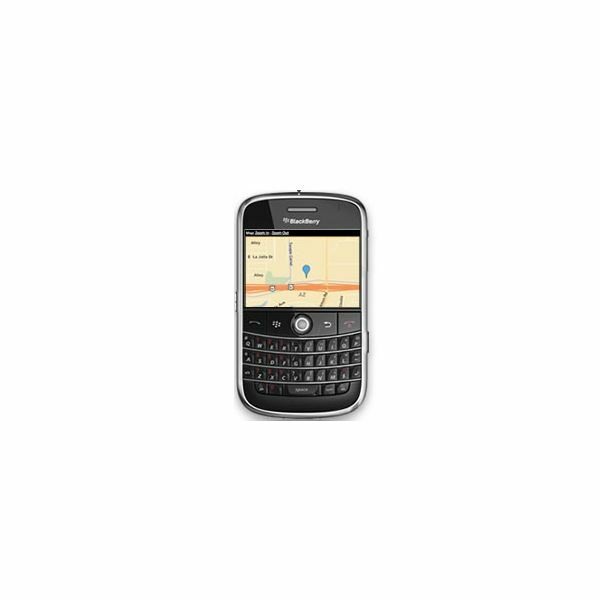 There is also a mobile phone app available for this, which provides vehicle tracking and custom fleet activity alerts for your phone. industry. 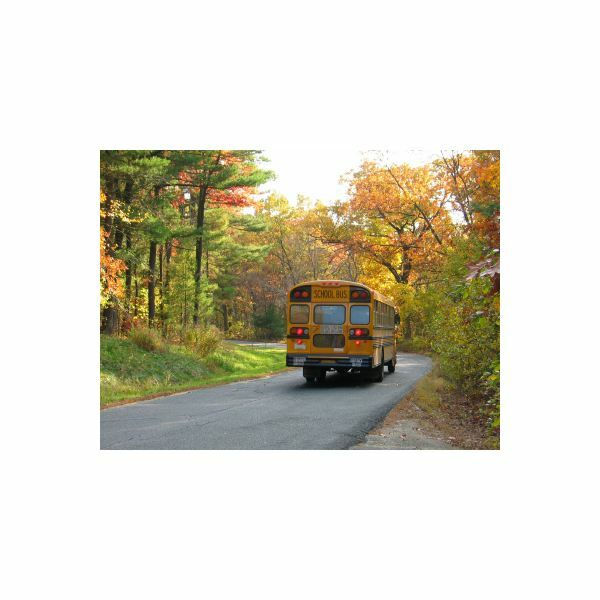 They have products for municipal industries, transportation, law enforcement, and construction. So they are well placed to provide many different solutions that an enterprise is seeking. The GPS tracking solutions and fleet management software works with the Garmin Unit. The Garmin device provides voice prompts; it displays turn-by-turn guidance and detailed road maps and vehicle status alerts. This helps guarantee that you know the whereabouts of every driver whereabouts. It also incorporates ProMiles software to automatically track and calculate trip records that are compliant with federal and state tax regulations. To get pricing, you have to request a quote. More information is available about how to monitor vehicles at Top GPS Monitoring Systems. The different GPS satellite tracking services reviewed so far have many things in common like recording history and location tracking. 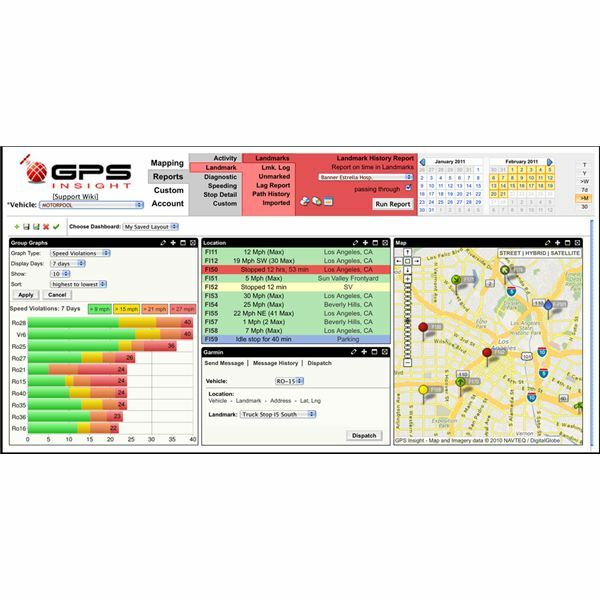 GPS insight offers a few more features such as unlimited history, engine diagnostics, reports, alerts, routing, and messaging. Many different customized reports, alerts, and other features are available or you can tailor them to meet specific needs and requirements. This tracking service can provide GPS fleet activity detail information, as well as vehicle fuel tracking consumption. Are your drivers obeying speed laws? You can track speed violations. You can also monitor vehicle performance with trouble codes, provide landmark activity, and geofence violations. Cost 39.95/month for GPS tracking devices. Other products and services are available.